An Annual General Meeting (AGM) is the one meeting condo corporations are required to hold each fiscal year. This is a requirement of the Condo Act so that condo corporations can discuss and vote on certain items. The AGM is held at a time and location determined by the current condo board – within six months of the end of each fiscal year and after audited financial statements are available. Written notice must be provided to owners at least 15 days prior to the AGM. This notice should include the location, time and date of the meeting. It must also include specific business to be presented at the meeting. The AGM is when condo owners elect directors who have authority to make significant decisions, including financial, on their behalf. Once elected, directors have this authority for the term they have been elected. The AGM is also the time for owners to discuss the corporation’s audited financial statements. Introduction of the head table which typically includes current directors and involved guests such as the auditor. Confirmation that the meeting has been properly called and proper notice provided. Confirmation of quorum – minimum number of owners present, in person or by proxy, for the meeting to be valid. Approval of minutes from the last AGM. Appointment of auditor for the next fiscal year. Budget for the next fiscal year. Reports from the board or committees. Appointment of scrutineers if election of new directors is to occur. Nominations for election of directors. An AGM package delivered to owners generally includes the meeting notice, an agenda, minutes from the prior meeting, audited financial statements for the prior fiscal year and budget for the current fiscal year. If elections are to be held or changes to condo governing documents are to be discussed this information should also be included. 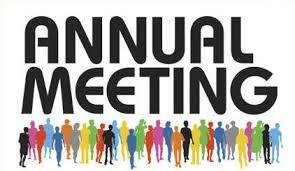 All condo owners are entitled to attend the AGM. Non-owners attending may include those who hold a proxy and tenants. Those who are not current in paying their condo fees are not entitled to vote.